HomeProductsNativities & Christmas MusicalsBah Humbug! 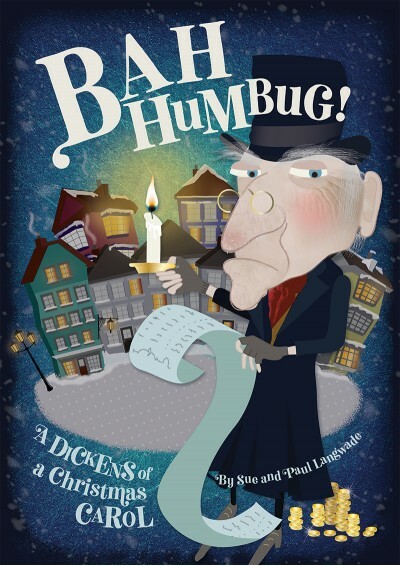 Join Scrooge, Bob Cratchit, Tiny Tim and many more in this fabulous adaptation of Charles Dickens'A Christmas Carol, ideal for 7-11 year olds. Available with Words on Screen™ v2. An Annual Performance Licence is required to perform this Christmas musical. For more information, please see below. Written by the same writers as best-selling musical Dragon Days. It’s Christmas Eve and what a night! Or so it proves for the miserable, miserly Ebenezer Scrooge, who finds himself visited by some rather unexpected characters! Through encounters with his former partner, Jacob Marley (deceased), and three very different ghosts, Scrooge is given the chance to revisit his past, weigh his present and glimpse his future. Will he take this once-in-a lifetime opportunity to change, or will he choose to remain in the bleak and lonely world he has created for himself, bound by chains of selfishness and greed? Find out in this fun adapted version of Charles Dickens’ A Christmas Carol, a fantastic Christmas musical for ages 7-11. An Annual Performance Licence is required to perform this Christmas musical. There are 68 speaking parts in this production. This can be reduced to 44. Click on the cast list and staging link above for more information on decreasing the cast. A current Annual Performance Licence is required to perform this Christmas musical to an audience (other than to pupils & staff). A magical, musical spectacle to celebrate the holiday season! This is a fun adaptation of the Charles Dickens Classic and contains a creative script with warm-ups, props, costume ideas, staging and lyrics. The teacher's book makes everything stress-free because it is so well organised and doesn't over-complicate things. I'd highly recommend the Words on Screen™ version as it enhances the experience and makes learning songs easier and more enjoyable. Bah Humbug! is a Christmas must-have and is comical, haunting and thought-provoking.